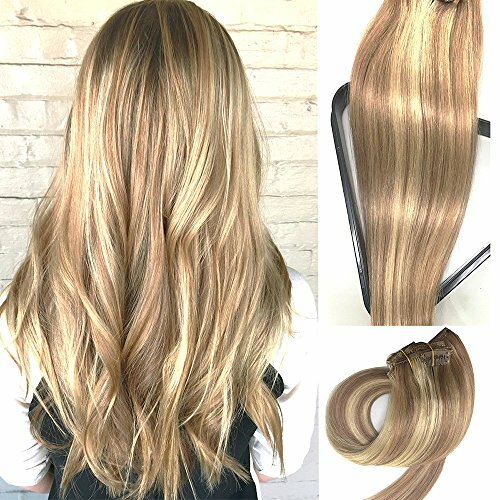 The high quality Clip in hair extension is made with remy human hair, which looks natural like your own hair. You can chemically treat the hair extension by dyeing, washing, curling, strengthening, etc. It comes in 7 pieces, so you can easily clip on hair without making it looks fake. The imported quality hair extension is available here in 15 inches size. The silky remy hair extension can give extra volume to your natural hair. You can get it by hitting order now here and obtain it through the service of Amazon shopping in Pakistan. you can get straight at your home door with cash on delivery. Hair Weight: 70gram with 7 pieces Each Pack. Usually 2 Packs is Recommended for Customers Who Have Fine Type of Hair to Add Length and Volume or 3 Packs if You Like Thick Hair.